Before I get to the newsletter, I’d like to welcome back into the program https://ettebiz.com/, a Washington D.C. IT support outfit. It’s not unusual for someone to return to the program after six months or one year but Lawrence is returning after 7 years!!! It seems like almost every week, someone comes back. Also, before I get to the newsletter I want to announce that the partner page update will start to roll out Sunday, September 20. That does not mean you will receive it that day. You might receive it that day or any time in the weeks following as we do not want everyone doing the update at the same time. It would not be “natural”. But going forward, for audit purposes, this update will be known as the September 2015 update. And this time, there will be two types of mailings, one to the vast majority of program partners who completed the May 2015 update and are in good standing and the second group identified going forward as the Red Flag club. Sorry guys. It takes me back to when I was growing up in the sixties. One of our favourite sayings was, “Hey man, don’t label me.” Well, members of the Red Flag club have one membership red flag for not doing the May 2015 update. A second flag will lead to program removal or non-renewal. So, expect the update to arrive in the coming days and weeks. If you’re one of those in good standing but you actually just completed the May update in the last few weeks, then don’t feel you have to jump and do this one right away. You’re mostly current. But an update from you will be expected during this update period. So if you’ve just done one, I really don’t mind you holding off some weeks. But those of you who always do the updates right away, please continue that practice. Whoa, this is a long newsletter; you may want to self-medicate (coffee, some bourbon) before reading. Our last newsletter focused mostly on the value or potential value of social media marketing, with a mention of organic marketing near the end of that newsletter. Organic traffic is a completely different type of traffic from what you’ll receive from social channels like Facebook or Twitter. Organic is what people are searching for, whereas social media simply puts your brand in front of people whether they care or not. 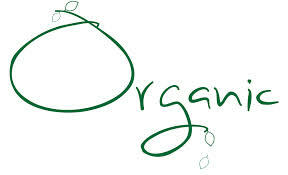 Diversification is good, but organic still rocks. Make sure you don’t neglect yours. Technical SEO: This aspect is focused on how well search engine spiders can crawl your site and index your content. Probably, your webmaster has the most to do with making sure you’re optimized for this. Page speed is one variable here (2 seconds load time is acceptable) but the biggest technical SEO issue in 2015 is making your site mobile-friendly. On-Page SEO: This aspect of SEO is concerned primarily with the keyword content on the site and how well each page targets its main keywords. For a lot of folks, on-page SEO is amateur hour. They’re the ones who say “I can do it myself” and later complain: “Google hates my website”. A little knowledge is a dangerous thing. Sadly as well, on-page SEO is amateur hour for some who actually charge for it. I see this all the time. The client tells me their site has been optimized and I check and see they don’t even have an h1 tag, widely acknowledged as the second most important on-page ranking factor when chosen properly. And then there are the folks whose idea of SEO is SEO software. A tool does not a carpenter make. I had a new client join the one-way links program recently and after reviewing the site I suggested she also get the site SEOed at some point. I didn’t push my services as I try not to up-sell folks. She told me she had SEO software so her site was already SEOed. What she had put up was horrible. A year from now at renewal, I will try to be more persuasive. And then you have the folks who pay $3500 a year for SEO. One reason they pay so much is that most SEOs (search engine optimizers) over-charge, or maybe they don’t, depending on how you define it. A lot charge not only for their technical work but for the potential value of their work to the client. To some extent, I can understand that. When I’m optimizing a manufacturer’s website, I know that page 1 rankings will help them score big sales. Maybe my prices should reflect the potential value of my work. I’ve even received testimonials from some of these folks telling me they just made a $15,000 sale or one guy a $50,000 contract. But if I charged $3500 a year, I’d lose my bread and butter clients and also, given that I’m a working-class guy, I wouldn’t quite feel right. I wouldn’t feel right because working class guys charge for their time, not for how much someone is going to enjoy the new roof. LOL! Assuming you’ve got a designer who’s given you a clean site, the rest of SEO is really a small bit of specialized knowledge and once a site is “optimized” there’s really not that much to do from one month to the next save for the occasional tweak. But it is specialized knowledge full of nuance and sometimes it’s worth the $3500 bill. I guarantee that you can read all the blogs you want but if you haven’t optimized maybe 100 websites and learned from the experience, then you won’t get it right. Apologies to my first 100 clients pre-2005 (but I did learn from the experience). Off-Page SEO: The third aspect of SEO is concerned primarily with inbound links from other websites to your site. Natural links from authoritative (i.e. trusted) websites act as an independent, ‘vote of confidence’ which helps search engines trust your website more. The most trusted links, apart from links from legitimate .gov and .edu websites (beware of programs offering to sell you these links), are business-to-business editorial links (the kind we have in our program). Do these links need to be “related” or “relevant” links (i.e. same or related industry)? No, they simply need to be trusted links. Trust is trust. Some of them should be “related” links, as long as they’re not all related links. That just looks suspicious. Ideally, you’ll have links from folks who might, at least theoretically, be customers. And, in the real world I’m sure, from time to time when a lawyer’s roof is leaking, roofers and lawyers cross paths. Leaks open the door to links. And then there’s social media as a form of off-site advertising, and sometimes maybe off-site SEO. In its most basic form social media brings your brand to the attention of people who might not otherwise find you. Just keep in mind though that often they’re not really looking for you either. The other aspect of social media involves speculation that “friends” and “likes” and such might influence your actual website rankings; we discussed this in the last newsletter. At this point, social links do not appear to directly influence website rankings although there might be some indirect influence. But you need to be sensitive to the increasing importance of social media and consider how you might get more involved with social media. So, SEO involves technical aspects, on-page aspects, and off-page aspects. SEO opens the door to organic rankings. What are the most important on-page factors for organic rankings? I just read an article on a well-known SEO blog that boldly goes where all other blogs have gone before. The fellow tells us about the 200 ranking factors in Google’s algorithm cautioning us that the days where SEO was all about meta tags and backlinks is long gone. He talks about social signals, user-interaction signals, and trust (well, sorry bud, but trust is largely links). But here is the last line in his article: “However, it’s important to note that many of these variables aren’t proven or official ranking signals.” Huh? And yet he had to write the blog telling us how important they were! Well, I don’t blame him in one sense because for him it’s self-marketing and a one-way link back to his website. But sometimes these blogs border on misinformation. And that just leads to the bandwagon effect. When you’ve been an SEO for 15 years as I have, or in the case of my links program, 11 years, you learn a few things. What’s always struck me is that my site has ranked #1 in my niche 99% of the time since 2004 through all the feared iterations of the Google algorithm, all the scare campaigns about penalties, all the bandwagons – I don’t think I jumped on any except one-way links, a bit of social media (preparing for the future) and making my site mobile-friendly. And yet, I’ve ranked #1 almost all the time for 11 years. For most of those years, I had a small 5 or 7 page website, an ugly build-your-own website only a mother could love (recently upgraded); I tweaked the page content only 2 or 3 times a year if my rankings slipped; and I only focused on links and white hat (non-spam) on-page SEO. Apart from that, I renewed my domain name for 10 years as, at that time, Google had admitted that it was a ranking factor showing a brand’s long-term commitment. And that was about it. Well, I’m sure the links were a huge factor in my rankings but today I want to discuss the importance of page level SEO. On-page Ranking Factors. There are probably about 50 page level factors that affect a page’s ability to rank. I’m not going to talk about them all today, but I will mention others in future newsletters. Today, I just want to focus on what I’ve personally found important over the years. Page copy. Page copy (the text on your page) is really important. But with page copy, forget about SEO (mostly). Chase visitors not algorithms! Write your page copy for your visitors making it readable, compelling and informative and the more words, the better, ideally between 1700 and 2500 words. There is research “proving” the importance of this. Yes, about 40% of humans prefer visuals, but 60% like text and most important of all, search engines really only care about text. People search using words and Google is looking for textual destinations. That’s my main complaint about designers, who tend to be a visual lot and eschew having much text on the page. I mentioned above that I’ve ranked #1 in my niche, 99% of the time since 2004. Well, that record is now threatened because there’s a website giving me a run for my money. They are one of the few sites in my niche that has just as much text as I do. I know I’m stronger on other factors because when they beat me, I just go in and make a few small text changes (i.e. fresh content) and I’m right back at #1 a few days later. But on their good days, they’re beating me because they really are a “destination” for information about one way links, as am I. That’s what Google is looking for: destinations! Why did I say don’t focus on SEO when you’re writing page copy? Well, you can but all too often it just gets in the way of the message and reduces the quality of the experience for the user, making your page less sticky (i.e. less time on the page or clicking away from the site). That’s another one of those 200 ranking factors. And the reality is that you really don’t have to focus on SEO in the page copy. I used this metaphor in my book a few years ago and some of you will recognize it from my emails. I characterize on-page SEO as follows: the shaft guides the spear to its target but it’s the pointed tip that brings home dinner. Page copy is the shaft; SEO is the pointed tip. The title tag and the h1 tag. In my experience, the title tag and the h1 tag (which acts like a second title tag) are the two most important on-page ranking factors. They are the spear tip of SEO. And of course, these tags need to be about your most important keywords. But how many keywords and which keywords? Well, therein lies the “art” of SEO. Anyone can use a keyword tool or SEO software. But a tool does not a carpenter make. Using tools properly is what makes the SEO a craftsman. Anything other than that is amateur hour. But I should mention the meta description tag. That tag has been discounted as an important ranking factor and that’s largely true but I still think it’s worth having. I like to see a site summarized in 25 words, basically the meta description, but I like to get that tag on the page as visible text, not just as a tag. I like it placed at the top and bottom of the page so that the essence of the SEO transcends the page. This approach has worked well for me with clients but you’ve got to have the right keyword focus. Google hates my site! Does Google really hate your site when you rank #18 for your main keyword phrase and the competitor you’d love to beat ranks #8? I’m going to use a fictitious example here (different reference city) but it’s based on a real case from last weekend. Let’s say you want to rank for “professional organizer los angeles” and you rank #18 for that. The competitor you’d most like to beat (because it’s personal) ranks #8. First of all, is your competitor really better than you and if they are then how much better? Imagine, because it’s true, that there’s a numeric that describes for Google the difference between you and your competitor. What is your algorithmic rating for that phrase compared to your competitor and everyone else? Could the difference be represented as something like 1.968494854495565 (your competitor) versus 1.968494854495555 (you)? When you look at it this way, does it seem like Google really hates your site? Are the two sites really that far apart as trusted destinations for that phrase, especially given that Google has 820 other web pages with at least a modicum of optimization for that exact, intact search phrase? I’d say you’re probably a tipping point away from each other. And the above doesn’t mean you’re not already beating them on other search phrases, something clients often forget. In the above case, my client was ranking #8 for “organizer los angeles” (their h1 tag) and the competitor #9. But in this niche it is more valuable to rank for “professional organizer” rather than just “organizer”, so the client really should be making some changes if they want to rank better for the “money phrase”. In my analysis for the client, I compared the two sites on link trust (my client better), maturity of the domains (both created in 2006), length of domain name renewal (my client slightly better), amount of page copy (almost identical), and on-page SEO (my client slightly better but both inadequate). And for me, therein lies the tipping point, the difference that matters the most, on-page SEO. But why was the competitor beating my client if my client is slightly better with most of the above? Well, there are maybe 200 ranking factors, many difficult to measure, so it could be some combination of those factors. Or maybe the competitor simply added fresh content recently while the client’s page has been stale for several months; fresh content can have a powerful, albeit temporary, effect on rankings. Or maybe they’re ranking well because they’re ranking well. However they got there, ranking #8 gets you clicks and clicks help you hold your spot. It may not last forever; they may slip to page two. But ranking well helps you hold your rankings because you get clicks. And remember too, the competitor isn’t ranking better for everything, just the “money” search phrase folks are more likely to use when they’re actually shopping: professional organizer los angeles. In reality, these two sites are very close to each other and close to the 9 sites that separate them. But in my view, the quick fix for both sites actually, if they want to rank better generally, would be to tweak their on-page SEO. My view is that my client could beat the competitor just by tweaking the title tag and the h1 tag and a bit of refinement with the meta description text and on-page copy. By the way, the beauty of on-page SEO is that, assuming the site has enough link juice, the effects of the change can be seen as early as the next indexing. No long waits like there is waiting for links to mature. With the above, I’m not saying those are the only factors. In a tipping point world, lots of things can make a difference. I’m just saying that those two sites are closer than one might think and I saw enough based on my research, to know what I’d do. But yes, other things could be tweaked. The h2 tag may influence rankings (MOZ.com thinks so). Making sure the page doesn’t have duplicate content could be a factor. And a number of other things. A guiding principle. Optimization is not additive; it is subtractive. I’ve probably said that to folks for more than 10 years. What does it mean? It means the more you chase, the less you get. More rankings on page 2 and 3, fewer rankings on page 1. It’s probably the #1 mistake folks make combined with choosing the wrong keywords given the website’s current potency. Keywords are weighted. The more keywords you choose, the less weighting that’s available for any given keyword or keyword combination. What fools people is that they see websites on page 1 of Google with long keyword title tags. So, the wannabes make their title tags long, failing to realize that those sites are often on page 1 in spite of their keyword optimization; they’re there for some combination of the 200 other factors in the algorithm that affect rankings (link juice, maturity, loading speed, etc.). If you want to beat those sites, you have to be better and you don’t get better by repeating their mistakes. I have a client who sells Korean hand-made and handcrafted gifts. But he also has some pages on his site selling Korean tour packages. That’s a huge challenge. Google is looking for destinations and it’s hard to put up a few lower level pages on a site to sell something that’s not really your primary theme. So, to help we put his tour page into the links program. We got to #12 for “korea tour package”. To be honest, I was impressed. After all, this is not ostensibly a travel website and there’s a lot of competition. Google has 35,200 web pages with at least a modicum of optimization for that exact phrase. Ranking #12 is an achievement. To be fair though, his site really is a great “destination” for Korea as he has a blog with lots of pages about the country. Even so, ranking #12 wasn’t good enough and I felt the on-page SEO was the issue. So, I tweaked the SEO from 7 keywords in the title tag to 4, concentrating the keyword weighting, and I made some other changes. We targeted “South Korea Tour Package”. By definition, by doing that, we put more keyword weighting on “south” than “korea”. You can’t really have it both ways. It’s the Yin Yang of SEO. So the Yin of it is that we dropped to #24 from #12 for “korea tour package” but the Yang of it is that we went to click-range #3 for “south korea tour package”. Variations on “south korea tour” are almost as big “korea tour”. And at #3, he gets a ranking that will get clicks. And clicks are a form of trust. Clicks help you hold your rankings and improve your rankings as others flounder. Link juice and a more focused approach to on-page SEO brought a quality gift site to #3 for a travel theme. A second guiding principle. Let’s say you’ve decided that the main keyword phrase for your home page is going to be “personal injury attorney dallas”. You feel you have enough link potency right now to rank for that. So, what are your secondary keywords? Are they going to be “lawyer”, or “car accident”, or “DFW”. Probably not. That would make your primary and secondary keywords like apples and oranges. They might be related in a classification sense, but they don’t grow together on the same tree. No one searches for “personal injury lawyer attorney dallas”, few will search for “car accident personal injury attorney dallas” or “Dallas DFW lawyer car accident”. So, by assigning keyword weighting to any of the above “secondary” keywords, you deprive keyword weighting to the main phrase and any of the more legitimate secondary keywords that might normally go with “personal injury attorney dallas”. In reality, maybe because “personal injury attorney dallas” is a mouthful, there actually aren’t many secondary keywords that get searched in conjunction with that phrase. I found “tx” and “dui”, and “best”. But if that’s the reality, what you want to do is maximize or concentrate the weighting for your main keyword phrase and any of the long-tail or less common search phrases that apply. Keywords that go together, weigh together but keywords that don’t go together weaken one another. Giving weight to “lawyer” weakens your weighting for “attorney” and vice versa. If you want both then optimize your home page for one and another page for the other and make sure your off-page link anchor text targets both. But I want to repeat this: keywords that go together weigh together. For some of you, that’s your tipping point. Having said this, the above may be less true than years ago as the algorithm becomes more sophisticated dealing with context. And there are exceptions to the above. If you have a lot of link juice and you focus on a narrow geographic niche, you can get away with some over-reach. I have a few clients right now who get away with this and actually do have page 1 rankings for both “dallas personal injury attorney” and “dallas personal injury lawyer”, but for most folks it’s misguided. What I see with a lot of my clients is that after a year or sometimes a bit longer, they have plenty of fuel, plenty of link juice. They can go somewhere. The problem is that their optimization is too diffuse leaving their destination vague or unrefined. That’s why I often give a few free SEO tips when I send out my renewal reports. If the on-page SEO is not done well, any link building you do is going to be at a handicap. In closing, I think a lot of you do-it-yourself folks minimally need someone to make small tweaks, make sure your website is backed up, secure, etc. One thing I find when I update your partner pages (those of you who have me do that) is that you’ll also ask me to change a price, or an address, or add an image somewhere. You should have someone who’ll give you an hour each month just for those small things. Check out these folks for that: Jonathan at Peach Blitz or Ken (not me) at the Orphic Workshop. Just Another Bandwagon or Do Social Signals Really Matter?